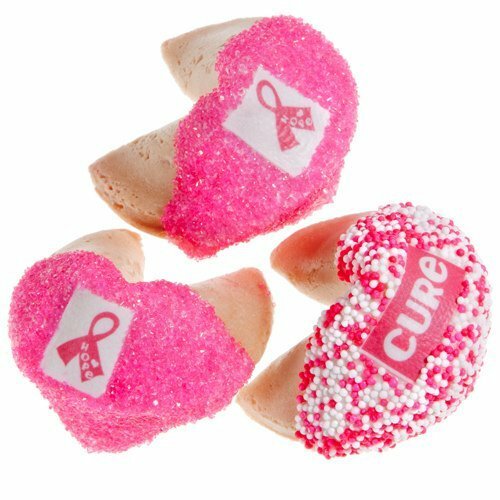 Individually wrapped in heat-sealed bags, these delicious and beautiful pink ribbon fortune cookies are a great way to show your support for breast cancer awareness. Our fortune cookies are hand-dipped in Belgian white chocolate then decorated with a pink ribbon made from royal icing along with pink and white candy sprinkles. Choose traditional fortune messages or our new Pink Ribbon Message "Where there is hope...There is a cure". Minimum order quantity is 12.